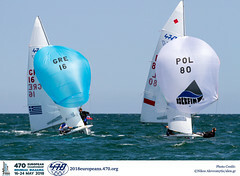 But it was shifty, swinging unpredictably between 160-180 degrees. 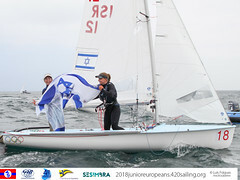 It took a while for racing to get underway, with numerous general recalls in both fleets, and postponement flags as the Race Committee re-set the course to the changing wind. 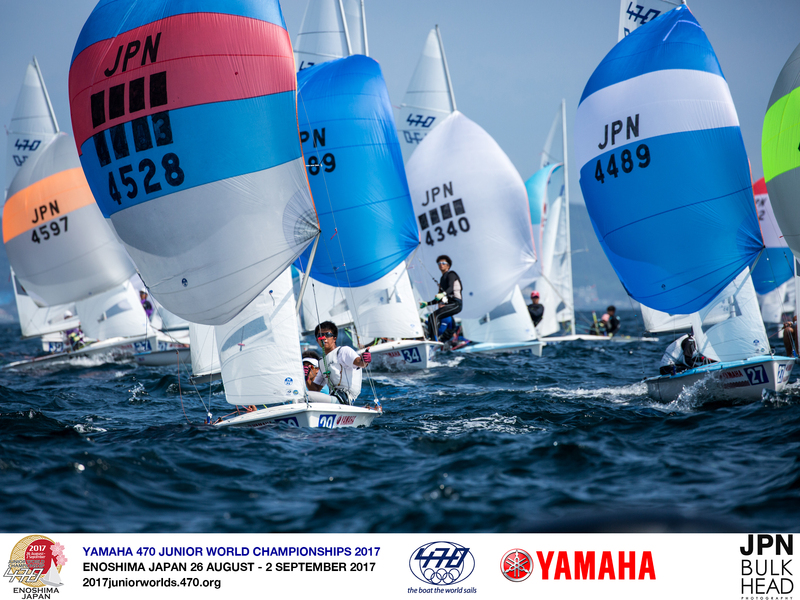 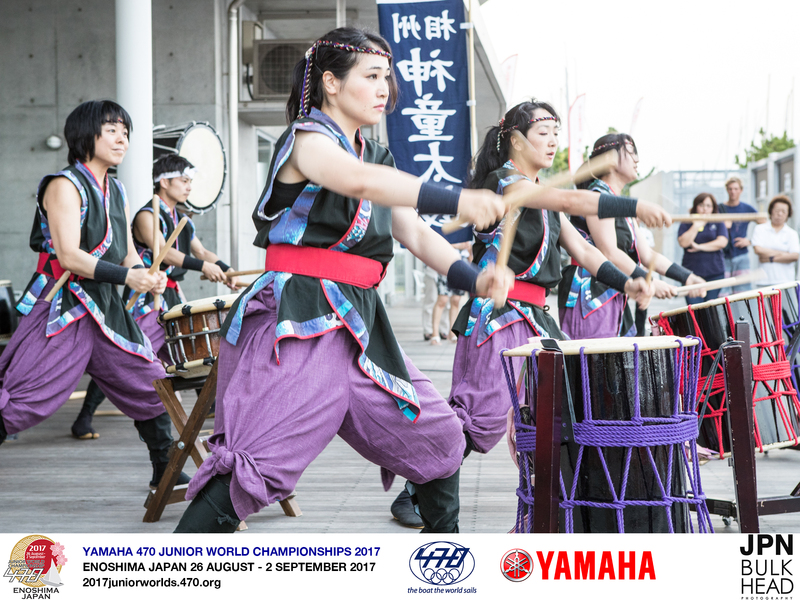 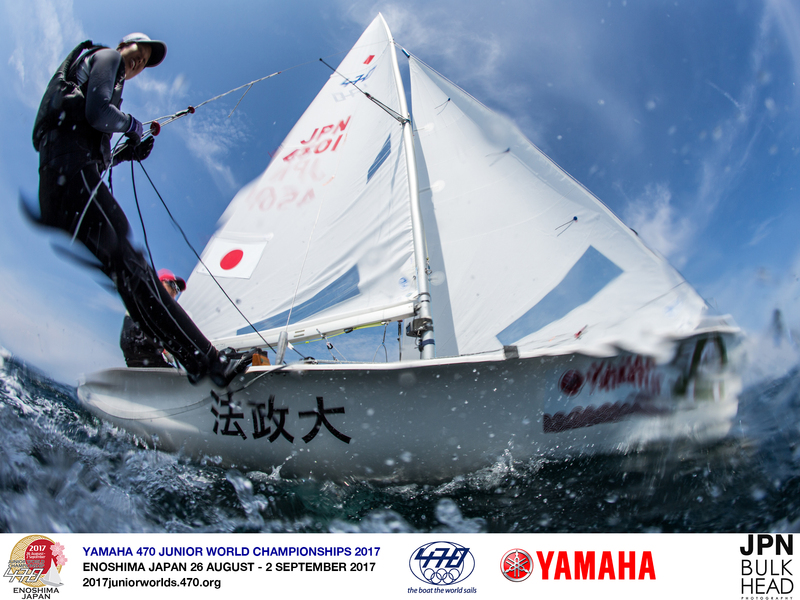 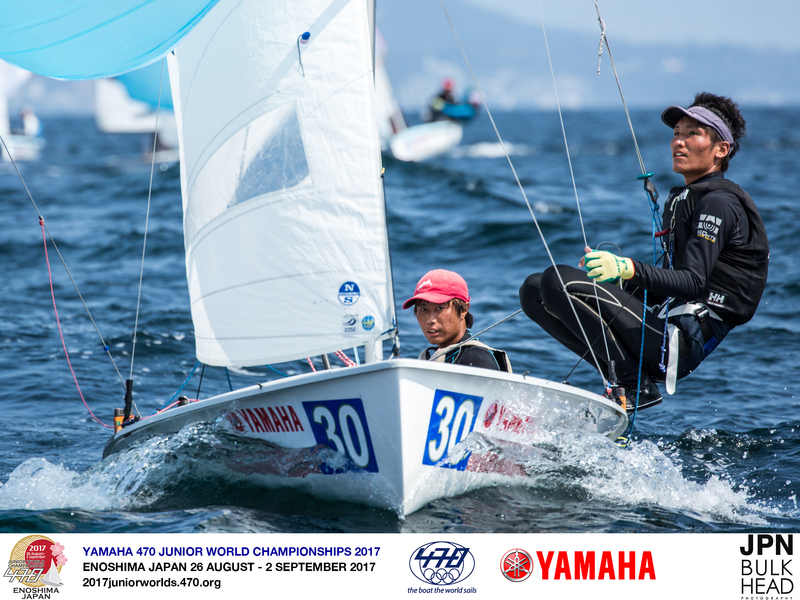 Strong performances from Japan’s teams with race wins claimed by Daichi Takayama/Naoya Kimura in the men’s and Misaki Tanaka/Ayano Kudo in the women. 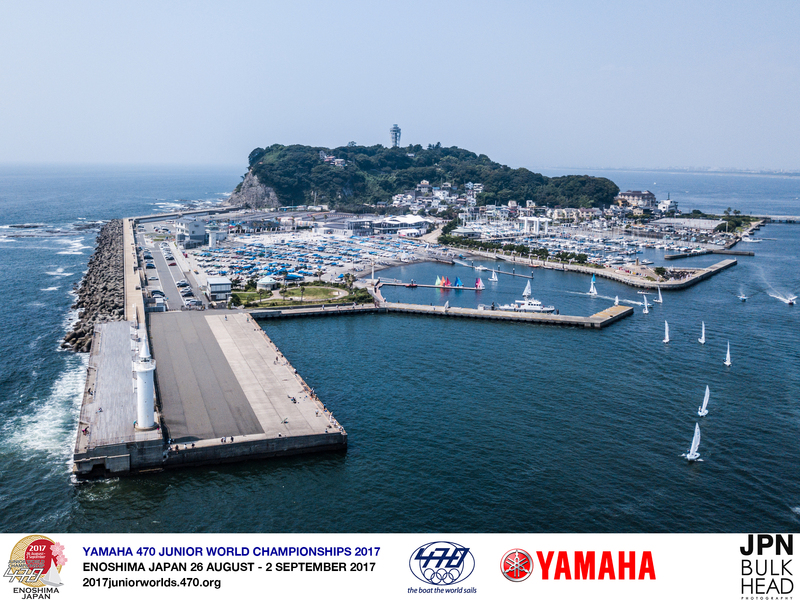 As well as the challenging race track, Japan’s summer is very humid, and different from Europe. 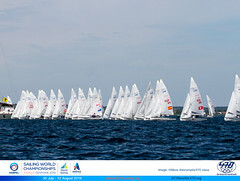 Hydration is essential, with teams needing more water than they were expecting today. 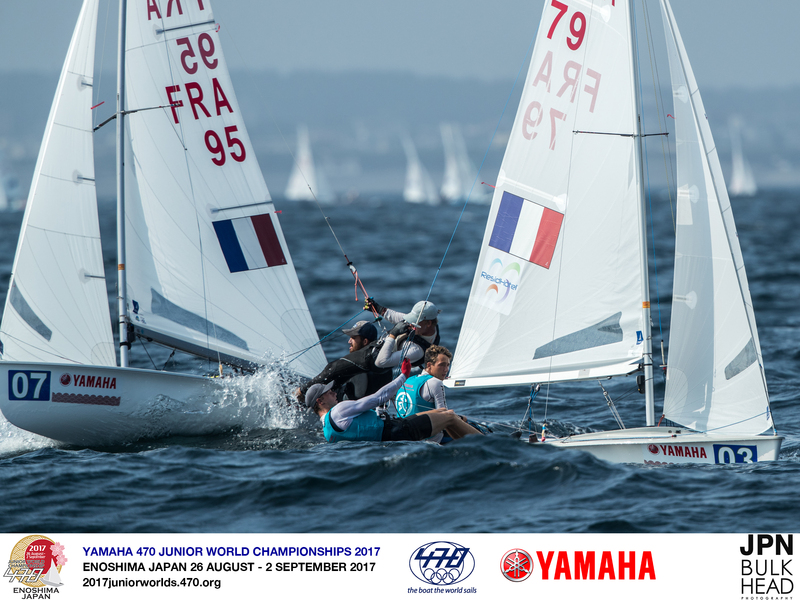 Hippolyte Machetti/Sidoine Dantès excel in the strong breeze and proved their form equally in today’s lighter conditions, with scores of 1,2, which were matched by Takayama/Kimura, only the other way around with 2,1. 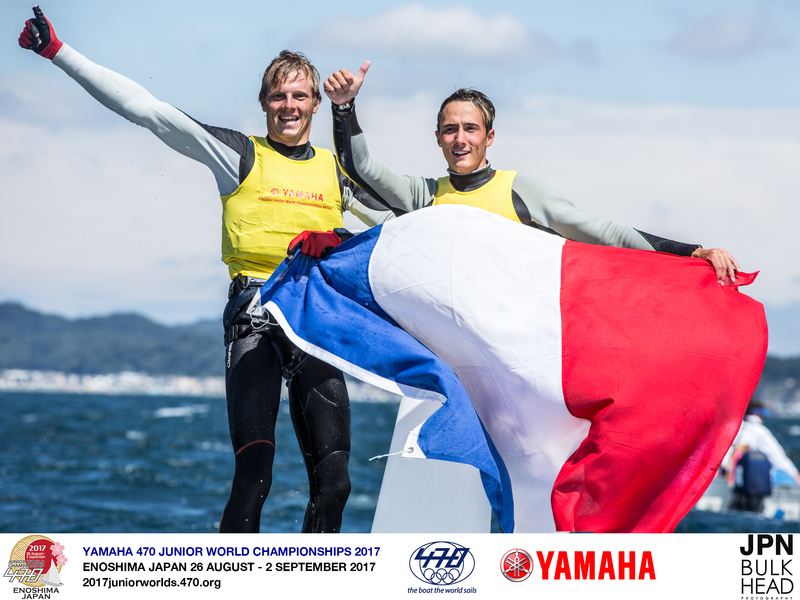 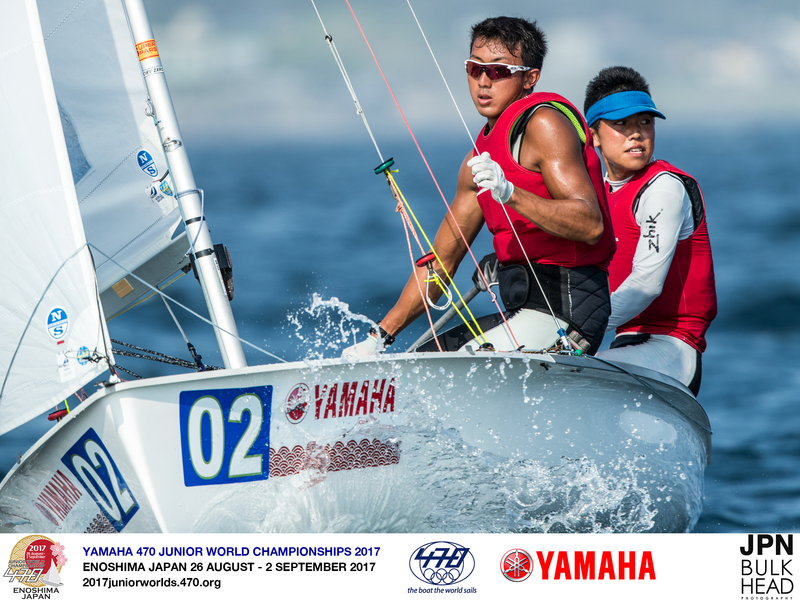 These two lead the charge in first and second, with France’s Guillaume Pirouelle/Valentin Sipan in third. 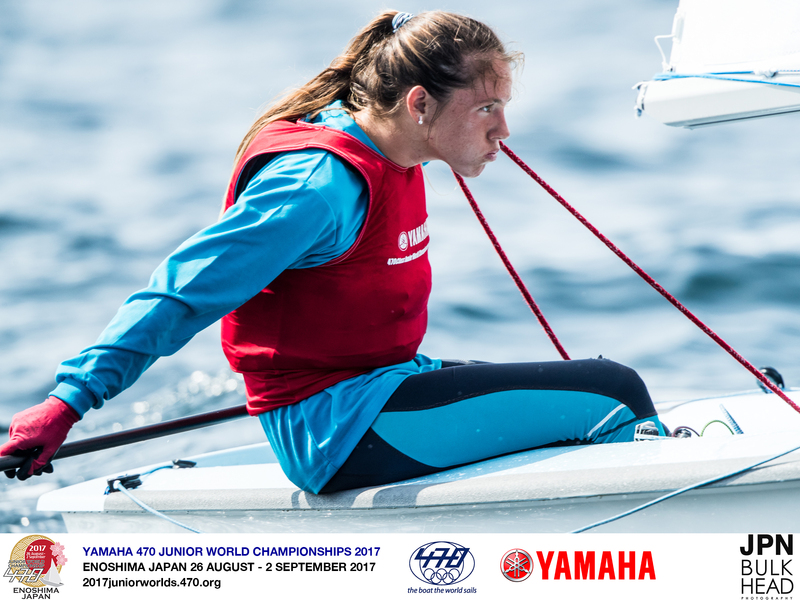 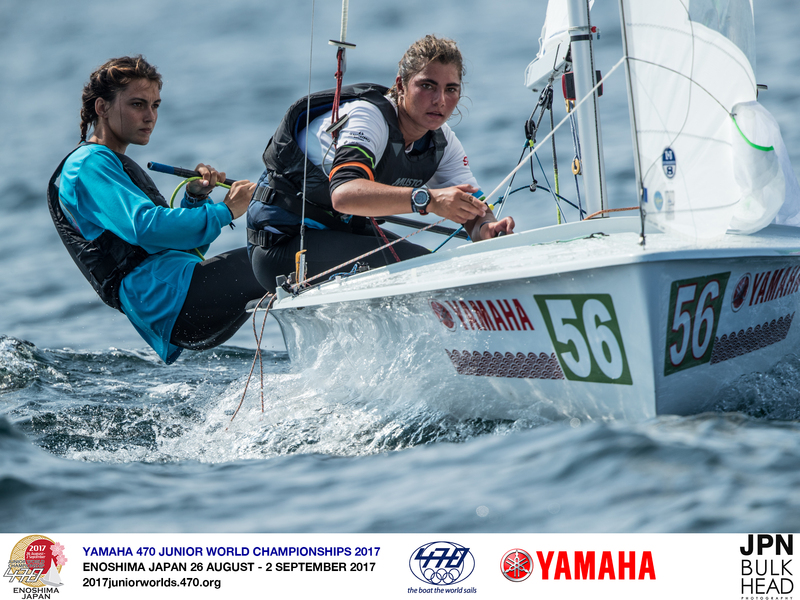 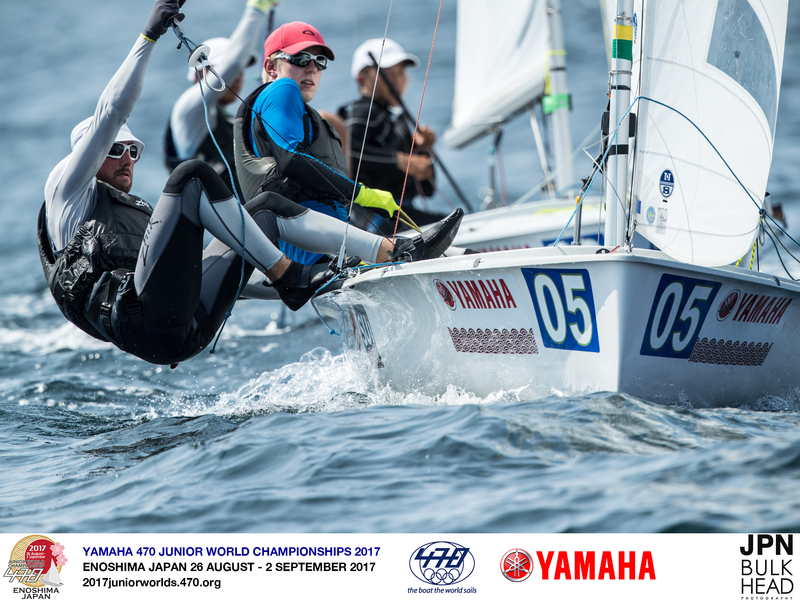 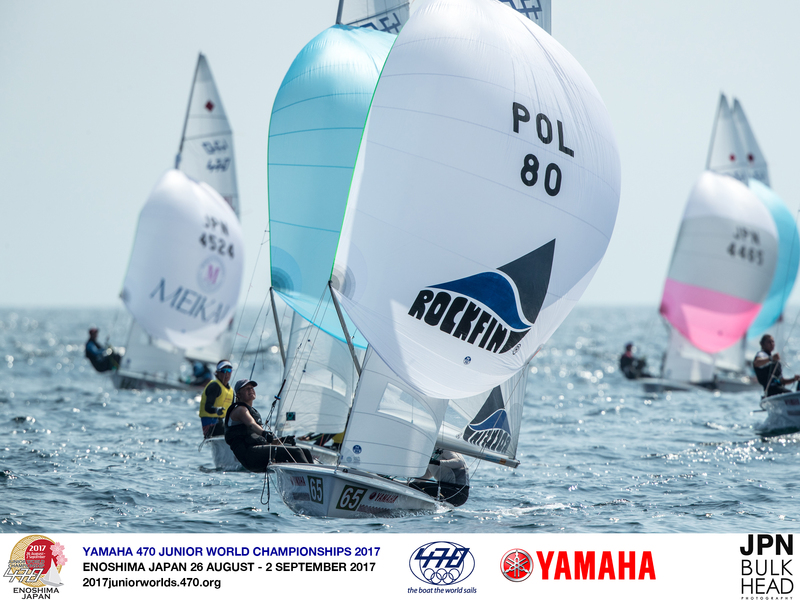 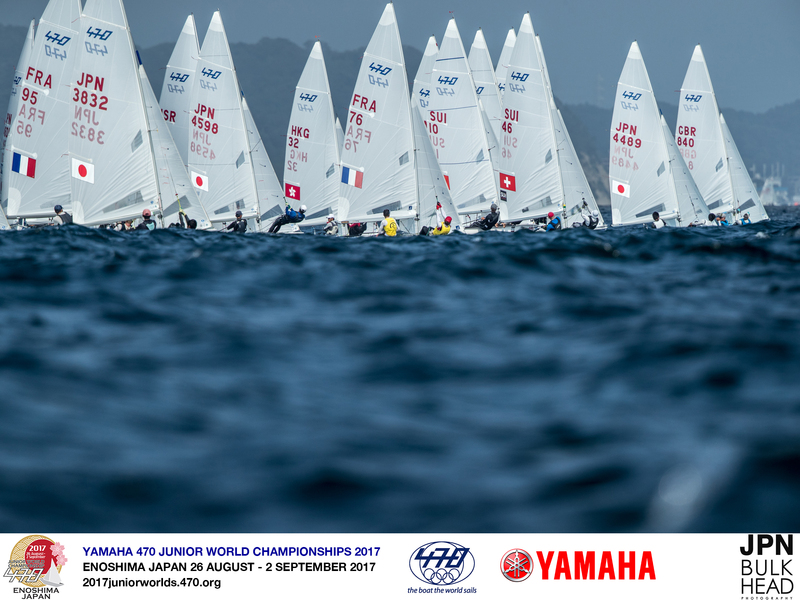 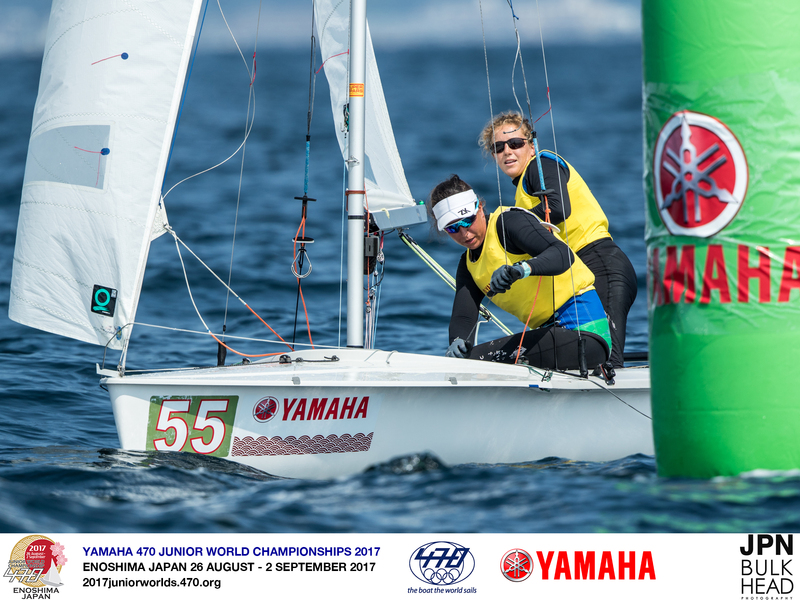 Super consistent scores of 3,2 from Spain’s Silvia Mas Depares/Paula Barcelo Martin holds them in the lead, boosting their quest to defend their Junior World title. 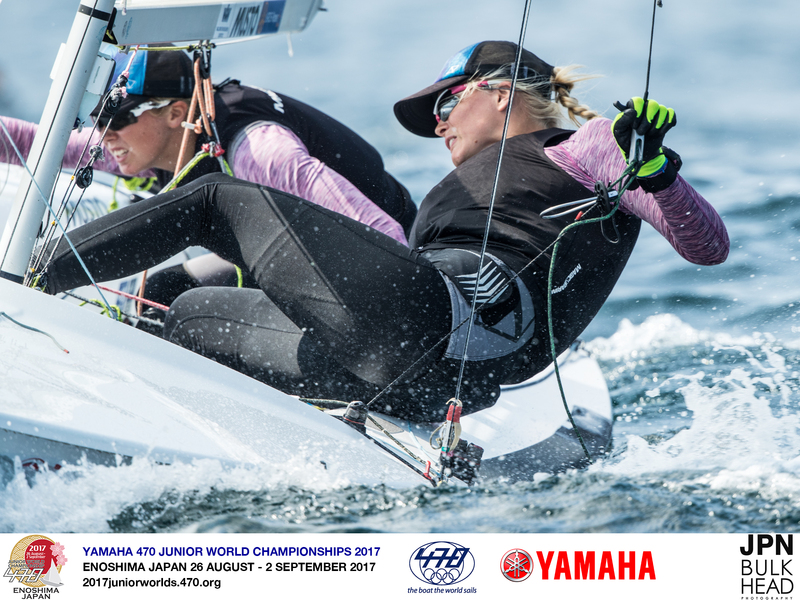 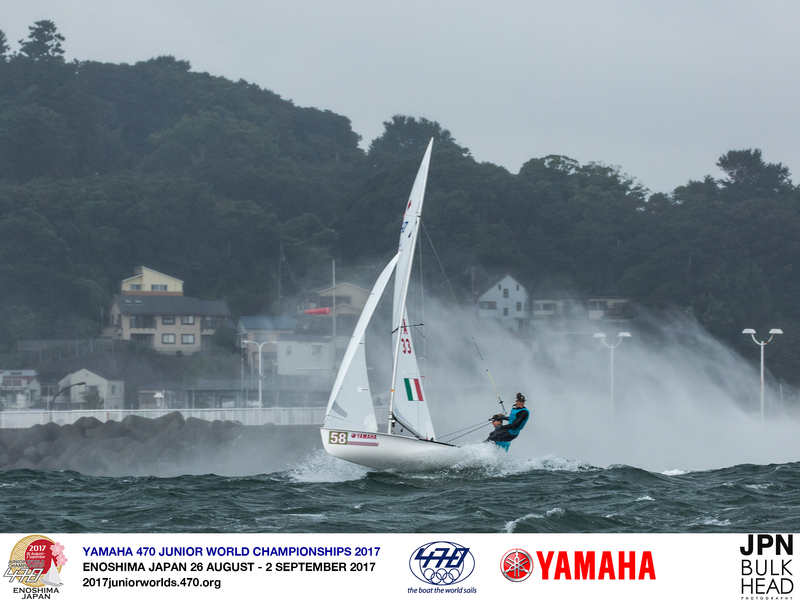 Leaders going into the day, Italy’s Benedetta di Salle/Alessandra Dubbini, dropped to seventh after two penalty scores, a DSQ in race 6 and starting penalty in race 7.